Access weather and water level observations for stations across coastal United States and the Great Lakes. 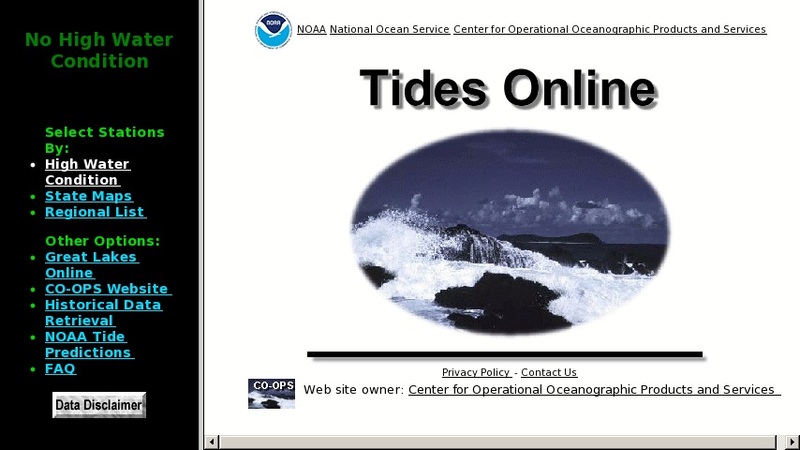 Follow the "CO-OPS Website" link for tide predictions, additional weather-related observations, publications, and much more. Historical data is available for download. Site provides emergency information when a station's water level exceeds normal and is activated into Storm Surge mode.